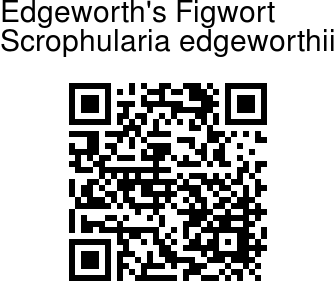 Edgeworth's Figwort is closely similar to the Himalayan Figwort, the main difference being that the stamens protrude out in Himalayan Figwort whereas they remain inside the flower in Edgeworth's Figwort. Leaves are ovate, single or double-toothed. Flowers are borne in wide panicle at the top of the stem. 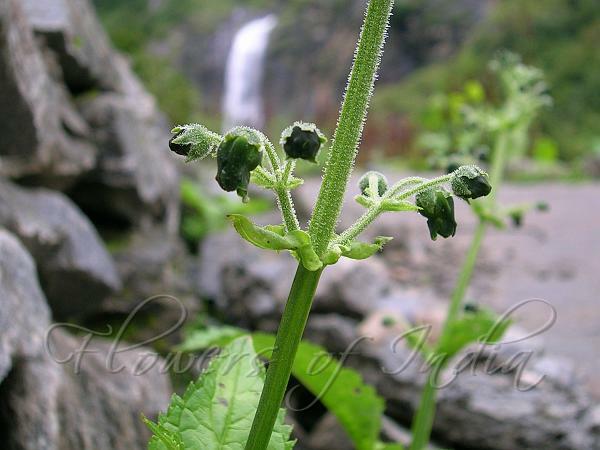 Edgeworth's Figwort is found in Western Himalayas.